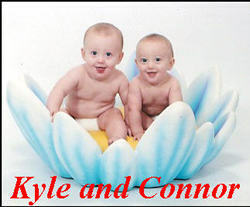 TTTS is a rare condition that only occurs in identical twins during pregnancy. This is because there is a single placenta (monochorionic) meaning the blood supply is shared between the twins, as opposed to (dichorionic) where there are two placenta’s each in its own space. In dichorionic twins there may be competition between the babies, but there is no direct sharing of blood. TTTS occurs when the sharing of blood becomes unbalanced, and one twin receives inadequate nutrients and oxygen due to the other twin receiving the greatest amount of blood. The twin that loses the blood is called the DONOR twin and the twin that receives the greater amount of blood is known as the RECIPIENT twin. This imbalance is thought to occur due to blood vessel problems deep in the placenta. It affects each of the twins in different ways. The donor twin may have too little blood in his/her system, resulting in dehydration and anaemia that may require a blood transfusion. It may also cause intra uterine growth retardation (IUGR) which has many complications especially when born prematurely – which is extremely common in multiple pregnancy. 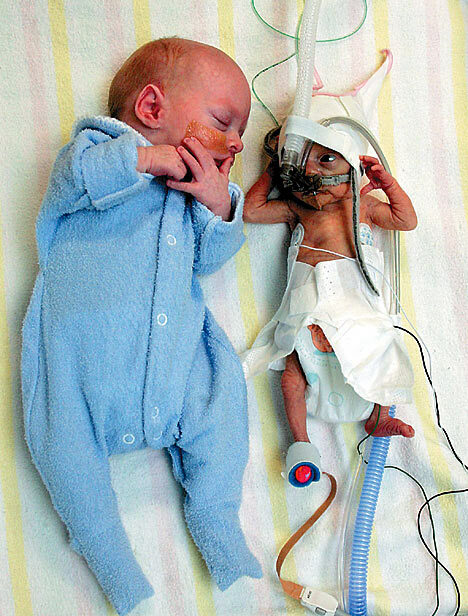 The RECIPIENT twin is born larger. He or she may have too much blood which causes them to look very red (plethoric). This can cause high blood pressure which in turn thickens the heart muscle and may cause heart failure. This twin may require the amount of blood in his or her system to be reduced (exchange transfusion). These circumstances are not great for normal development of either twin and may cause development delay. If TTTS is left untreated, it can have serious consequences for each twin, depending on the severity of the transfusion. If one twin dies, the surviving twin can lose a large amount of blood volume across the connecting vessels into the dead twin. This may cause a sudden drop in blood pressure in the surviving twin which can result in a stroke or heart attack. So how would I know if I have TTTS? Antenatal check-ups are extremely important for all pregnancies, but when you are expecting twins or more the risks become much more common. Therefore, you should attend all planned appointments and if you feel unwell in between appointments you should contact your midwife. Your ultrasound scan will inform you of many things including if your pregnancy is monochorionic. Your midwife will be keeping a careful eye on the growth of your babies and also the amount of ammiotic fluid around your babies. If she suspects something is not quite right she will organise for you to see your obstetrician and further ultrasound scans will be planned. Treatment during pregnancy may be offered depending on the severity of the condition. You may be offered repeat amniocentesis during your pregnancy where fluid is drained off. You may also be offered fetal laser surgery to interrupt the flow of blood from one twin to the other. After the birth, the treatment will depend on the baby’s specific symptoms and may include blood tests, X-rays and blood transfusions. TTT’s can happen to anyone and is not linked or caused in any way by what the parents did or did not do! It is also not hereditary or genetic. It is also rare and if mild, full recovery is expected for both babies.